Fans of "The Help"will love Sue Monk Kidd's Southern coming of age tale. "The Secret Life of Bees "was a "New York Times "bestseller for more than 125 weeks, a Good Morning America Read This Book Club pick and was made into an award-winning film starring Dakota Fanning, Queen Latifah, Jennifer Hudson and Alicia Keys. 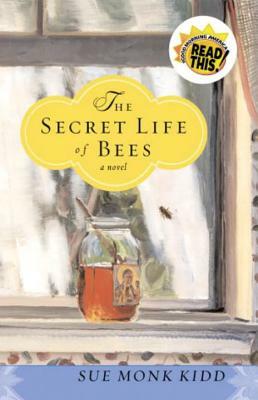 Set in South Carolina in 1964, "The Secret Life of Bees"will appeal to fans of Kathryn Stockett's "The Help"and Beth Hoffman's "Saving CeeCee Honeycutt," and tells the story of Lily Owens, whose life has been shaped around the blurred memory of the afternoon her mother was killed. SUE MONK KIDD is the author of the "New York Times "bestselling novels, "The Secret Life of Bees" and "The Mermaid Chair," and the memoirs "Traveling with Pomegranates," which she wrote with her daughter Ann Kidd Taylor, "The Dance of the Dissident Daughter, When the Heart Waits," as well as "Firstlight," a collection of her early writings. "The Secret Life of Bees" has spent more than 125 weeks on the "New York Times" bestseller list and was adapted into an award-winning movie starring Dakota Fanning, Queen Latifah, Jennifer Hudson and Alicia Keys. "The Mermaid Chair," a #1 "New York Times "bestseller, was adapted into a television movie. Both of her novels have been translated into more than 24 languages. The recipient of numerous literary awards, Sue lives with her husband on an island off the coast of Florida. "Lily is a wonderfully petulant and self-absorbed adolescent, and Kidd deftly portrays her sense of injustice as it expands to accommodate broader social evils. At the same time the political aspects of Lily's growth never threaten to overwhelm the personal. The core of this story is Lily's search for a mother, and she finds one in a place she never expected.... She finds her Madonna in a woman named August Boatwright, the proprietor of a honey farm that's a harbor of quiet civility. August and her sisters, June and May, are no mere vehicles for Lily's salvation; they are individuals as fully imagined as the sweltering, kudzu-carpeted landscape that surrounds them." "Lily Melissa Owens... the brave girl at the heart of this novel... frees her babysitter, a black maid who has been abused by several white men and put in jail for it, and the two of them follow Lily's instincts to safety. The Secret Life of Bees is one of those novels that leaves a reader more confident: Heck, if this kid could do it, so can I." "Populated with rich, believable characters and propelled by a swiftly paced plot, this debut novel is a cut above most coming-of-age tales. You’ll be glad you went along for the ride. Bottom line: Buzz-worthy." "Sue Monk Kidd is an extraordinary storyteller. Beautifully written." "A wonderful novel about mothers and daughters and the transcendent power of love." "With imagination as lush and colorful as the American South, a clutch of deliciously eccentric characters and vivid prose, Sue Monk Kidd creates a rich, maternal haven in a harsh world."